At the meeting under the theme of: "The contemporary working class and its alliance. The tasks of its political vanguard - the Communist and Workers' Parties, in the struggle against exploitation and imperialist wars, for the rights of the workers and the peoples, for peace, for socialism ", 90 Communist and Workers’ parties from 73 countries took part, representing all the continents. The Communist and Workers' Parties welcome the struggles of the workers and the peoples around the world against the offensive of imperialism, against occupation, against any threats to sovereign rights and national independence, for peace, for the defense and the widening of social and democratic rights. The experience gained in many countries from the struggles against the imperialist plans and political line of the USA, NATO, the EU and their allies is valuable. The sharpening of the contradictions involves the risk of new imperialist wars, for the control of wealth-producing resources, markets and energy pipelines; this risk sets serious tasks for the workers' movement and the communists for the strengthening of a broad anti-imperialist struggle for peace and disarmament, the intensification of the struggle against the political line of bourgeois governments that serves the profitability of big capital and imperialist aggression and war. The Communist and Workers' Parties assessed positively the initiatives taken in 2017 on the occasion of the 100th anniversary of the October Socialist Revolution and in 2018 for the 200th anniversary of the birth of Karl Marx, contributing to the defense of the Soviet Union's contribution, of socialism, which is the only way out of capitalist exploitation. Actions against NATO - whose 70th anniversary is on April 4, 2019 - and the EU, which is being further militarized with PESCO and other mechanisms. Against nuclear weapons and foreign military bases, utilizing the nuclear holocaust anniversary in Hiroshima - Nagasaki (on August 6 and 9) and the 80 years since the start of the Second World War (on September 1). Multi-faceted events for the 100th anniversary of the Communist International (on March 2), actions against anti-communism, persecutions, and bans of Communist and Workers' Parties. 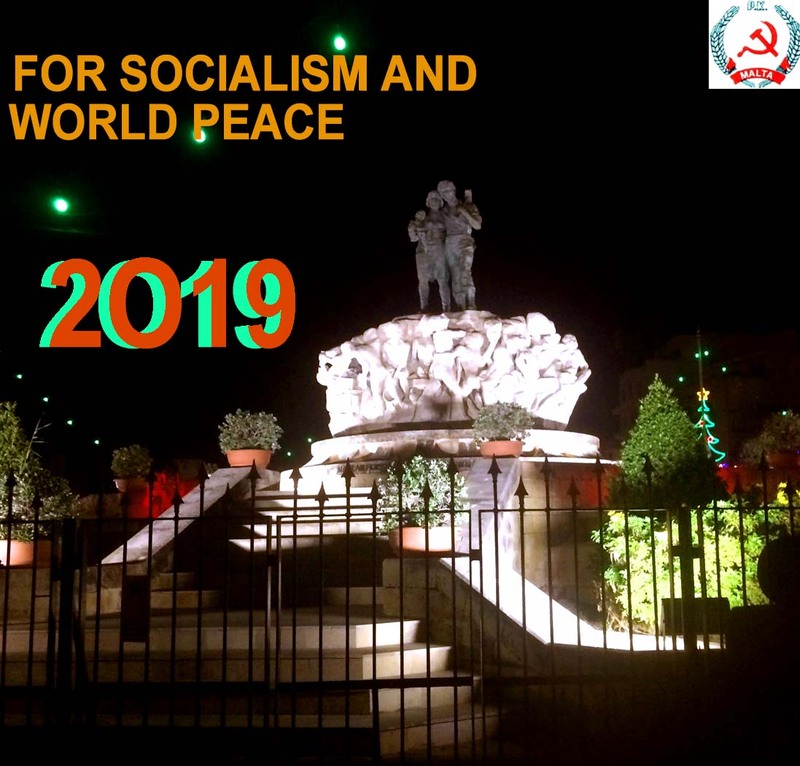 Utilization of the 102nd anniversary of the October Socialist Revolution to highlight the achievements of socialism and deepen the theoretical discussion and practical action against capitalism and its exploitative, oppressive, aggressive, predatory and inhuman nature. To strengthen internationalist solidarity and struggle to demand the end of the US blockade against Cuba and the interventions and threats against Bolivarian Venezuela. To support the struggle of Palestinian people for the end of the occupation and self-determination, establishing a national, independent state with East Jerusalem as its capital, in accordance with the UN resolutions, supporting the resistance of the Palestinian people and condemning the criminal policy of Israel. To denounce imperialist interventions in the Korean Peninsula and express solidarity with the Korean people for independent and peaceful reunification. To express solidarity with refugees and with all peoples facing occupation, intervention, and blockades by imperialism. Multi-faceted class solidarity with workers' struggles for labor, social, trade union rights, against the offensive of capital. Development of actions of struggle on March 8, International Women's Day, to defend women's rights and their full equality in work and life. Development of actions of struggle on the day of the People's Victory over Fascism-Nazism. The working class today is in the dire need of a re-education in class warfare, as it has fallen into disarray and has forgotten the lessons that their forefathers have learned through hard struggles. The solidarity that existed between the workers of former the days, prior to the disastrous events of 1989 is gone. Apathy has set into the dire detriment of the working classes in many countries. Capitalism today is finding it easier to implement a new measure of exploitation, and this is being supported by the neo-liberal governments in Europe and elsewhere, amongst them Social-Democratic administrations. Today, Global Capitalism still has a firm hold over the means of production. Working classes all over the world has yet to wrest this control. Since the setback suffered by working classes, with the fall of the Soviet Union and its eastern European allies, Capitalists all over the globe has tightened their fists and have done away with most of the gains that the working class had won by hard struggles in the middle years of the Twentieth Century. The US Military and Industrial Complex requires a constant supply of wars so new markets could be found to sell their lethal products of death and destruction. The Rothschild’s who control most of the global finance hold Capitalist countries under their absolute control, with the aid of US imperialism, have ushered wars to destroy countries like Iraq, Libya, and Afghanistan. 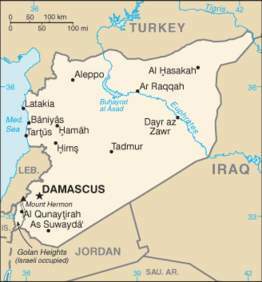 Countries like Syria which has been undergoing a siege from which it has managed to survive, at a great cost. Venezuela suffering from sanctions, because the people elected a government, which the U.S. does not like. The DPRK because it still insists to reunify the Korean Peninsula into one country, is threatened with military intervention. One point that emerges here, is that these countries are not financially controlled by the Rothschild’s. Another struggle that has been going on for too long now, is the struggle of the Palestinian people to liberate their homeland from Zionist colonialism imposed on them by US imperialism after the Second World War. The state of Israel which was set up on Palestinian lands is another artificial country like South Korea and Kosovo. South Vietnam another US invention was liberated by the Vietnamese people who gave US imperialism it’s greatest and sour defeat. These imperialist creations were set up to offset people’s aspirations for freedom. In the case of Palestine, US imperialism continued on the path started by French and British imperialism to set up an alternative colonizer when they had to leave, to protect their interests (Petroleum) in the Middle East. Communists and Workers Parties who are the real vanguard of the working classes must straighten themselves by exposing the treachery of Social Democratic Parties that have sold out workers interests a long time ago, some even prior World War One. Other Parties nowadays calling themselves left-wing parties are not really Workers Parties as they claim as they support “Free Market Policy” and claim that there can be no Democracy without this Free Market. They have forgotten that a free Market is the greatest enemy of the working class. One example of how like Social Democrats these New Left Wing Parties betray Socialism is; Here in Greece SYRIZA made a pre-electoral promise that if elected they would stop the European Union imposed austerity programme. They held a referendum to stop EU austerity programmes after they were elected. The referendum result gave a great victory against the implementation of austerity measures but SYRIZA instead of honouring this result, bows its head to the EU diktat, and the Greek Working Class had to undergo a lot of suffering through EU imposed austerity programmes. The immediate tasks that we Communists and other progressives is to militate within the ranks of workers to make them aware of these bogus socialists. The solutions to the problems of the working class lie, in the transformation of the liberal society which has a capitalistic neo-liberal concept, where profit reigns supreme. This transformation must be into a Socialist society where the means of productions are no longer the hands of the bourgeoisie but taken over by the working class. thus changing the economic structure of society, where the profits would be distributed evenly, in higher wages, funds to better living conditions, to educate their children up to University levels, and to provide free medical care for all. Last General elections which were held in June of 2017 returned the Labour Party (LP) to power with a larger majority. The opposition center-right Nationalist Party (PN) based its electoral campaign on corruption and alleged secret bank accounts in Panama held by the Prime Minister’s wife, his Chief advisor, and a Minister. The accusations against the PM’s wife later were proven false, in an extensive 15-month magisterial inquiry that Prime Minister himself had requested. The results of this inquiry has shown that all accusations were false, and based on forged documents. The call, for early General Elections, was also because of this claim. The Labour administrations as stated previously, in other reports has a neo-Liberal policy and although the situation of the working class has improved when comparing to the previous Nationalist administrations, so have the economic situation of the Rich, compared with this workers are getting crumbs. Land exploiters are having a field day. One problem that now besets the Maltese population is the high Rent Prices, which was de-controlled under a previous PN administration back in 2008. Prior to that the rent was very low based on 1939 legislation and it was paid on a per annum bases. Today they have gone up by more than tenfold and this is being paid on a monthly bases To give a rough example a rent of 30 Malta Lira(Malta’s old Currency) which was paid once in a year is now 300 Malta Lira paid once a month. The rent per annum, in this case, is 3600 Malta Lira. A nagging concern is, that now we are having homeless people in Malta, This is while according to the EU and World Bank economically Malta has made large progress; we are having a new kind of poverty. In October of 2017, a female journalist was assassinated by a car bomb and needless to say that the PN started on a lurid campaign accusing the Labour administration of eliminating her. . However there is no evidence to this claim. The facts are that she was one sided in her attacks, always writing against the LP even when they were in opposition. She was discredited as twice she was blamed for the PN defeat. If the LP wanted to get rid of her they would have done so long ago. There are two factors that could be the reason why she was eliminated; One she was investigating the smuggling of Oil from Libya to Italy. The attack she made on the new PN Leader as she sided with old Guard. Again there is no evidence on these two factors. Three persons are accused of placing the bomb and blowing her up unless they do not talk about the identity of who ordered her elimination will remain unknown. The Journalists Daphne Caruana Galizia and Maria Efimova a supposed whistle-blower were the main accusers against the Prime Minister’s wife. In the magisterial inquiry their evidence contradicted each other, where Daphne Caruana Galizia was basing her evidence on what Maria Efimova had told her, and both swore that the documents were seen, Daphne stating Maria saw them, while Maria swore that Daphne had seen them, the documents that were handed to the inquiring magistrate were proven to be frauds by English and American experts. On the 11th and 12th of July a Summit of NATO Heads of State and Governments will be held in Brussels, Belgium, with a dangerous agenda at the expense of the peoples. Previous summits of this type have been used to introduce new reactionary policies and invite new members in NATO. In the recent years, NATO has put forward decisions for the creation of multi-tentacled military formations around Russia, new rapid imperialist intervention corps, a deeper cooperation with the EU apart from the intensifying rivalries between the USA and the EU, for the allocation of 2% of the GDP of the state-members for military expenditures. Last year’s meeting coincided with the controversial integration of Montenegro into the alliance against the popular will of the Montenegrins, while in the margins of its intention to expand euroatlantic control of the Western Balkans and of the Black Sea is now paving the integration of FYROM, as well as of Ukraine and of Georgia. The Agreement of Greek and FYROM’s government is used as a passport for the purpose of the integration of FYROM, which promotes the EU-NATO dangerous plans in the Balkans. Since the dissolution of the Soviet Union, NATO has steadily expanded in Europe and beyond, which contrary to its claims of enforcing stability has aggravated inter-imperialist contradictions further and emboldened its associated frontier states, whether full members or not, to facilitate and escalate anti-popular measures. NATO-aligned governments have been able to pursue policies fueling ethnic collides such as in Balkans, Baltic States, Georgia or Ukraine, to serve the monopolies’ interests in their aim for the control of the energy resources, of their routes of transportation, of the markets. NATO countries recently pledged to dispense 20% of their defense expenditures on major equipment spending, providing a substantial source of income for its monopolies. With the recent announcement of Colombia as NATO΄s «global partner», it implies not only a strengthening of a US spearhead on the South American continent, but also ample new economic opportunities for monopolies in the South and Central American markets. Currently, serious competitions within the imperialist alliance are noted, which are seen in practice through the dawning of a trade war primarily between the United States and other members of the organization. In this context, the intensifying of the militarization of the EU with its Common Security and Defense Policy and the “International Strategy” of the EU that foresee dangerous plans such as the Permanent Structured Cooperation (PESCO), the European Intervention Initiative and the so-called Military Mobility, in the framework of cooperating with NATO but will separately assist EU imperialists in enforcing their interests abroad independently, with the African continent and the Middle East as particular targets of the military involvement of the EU and its member states. In view of these developments it is clear that the imperialist alliances are becoming increasingly volatile, that they cannot be permanent, and that the capitalist system at their base is becoming more reactionary and dangerous. The much repeated bourgeois myth of the EU as a peace project has in reality turned out to be exact opposite. Let΄s strengthen the struggle against imperialist war, the EU, the NATO and all imperialist alliances! ‘’ The philosophers have only interpreted the world in various ways; the point, however, is to change it”. 200 years ago, οn May 5th1818, in the city of Trier of Prussia, the great revolutionary Karl Marx was born. Marx had a decisive contribution to the foundation of the revolutionary worldview of the working class as well to the economic, political and philosophical thought of humanity. He was connected with Friedrich Engels and with their decisive contribution they played a key role in the first revolutionary groups of Paris. He consistently fought against various petty-bourgeois theories on socialism that were dominant in that period. Following his deportation to Brussels in 1845, he joined the “Communist League” along with Engels and participated in its 2nd Congress where they played a vital role in the adoption of revolutionary positions. Commissioned by the Congress they wrote the famous and unparalleled work “The Communist Manifesto”, which was published in February 1848. In this work the consistent materialism that concerns every aspect of social life is ingeniously explained, as the most complete and deep teaching of evolution, driven by the theory of class struggle. This was the first time that the vanguard revolutionary role of the working class as the founder of the new communist society was determined and presented based on the conclusion that “the history of all hitherto existing society is the history of class struggles” that “necessarily lead to the dictatorship of the proletariat” which “is only the passage to the abolition of all classes and a non-class society”. Marx developed his materialist theory in a series of historical strategic positions of the world communist movement, focusing mainly on the study of Political Economy. Marx revolutionized this science in his works “Critique of Political Economy” (1859) as of course in “Capital” (its first volume was published in 1867) which analyses the capitalist exploitative system, its economic function and constitutes a unique work for the world proletariat as well as an important contribution to the scientific documentation of the exploitation of man by man, amongst other things, with the analysis of the concept of surplus value. Following the revolutionary events in 1848, he was deported to Germany, France, and finally settled in London. There, he played a leading role in the “International Working Mens’ Association” writing its programme and a series of resolutions uniting in practice the workers’ movement of various countries in an period characterised by the revolutionary upsurge of the proletariat and the foundation of mass socialist workers’ parties, a period which was marked by the famous Paris Commune in 1871. The unparalleled works of Marx as well as those of Engels and Lenin constitute the Marxist-Leninist worldview. They have inspired and guided the working class in order to fulfil its revolutionary mission, to overthrow capitalism and construct the socialist communist society. Marx’s work, although it has been on the receiving end of uncountable opportunist and bourgeois distortions and every kind of deformation in the name of Marxism until today, remains intact and continues to play an irreplaceable role in the development of class struggle. The Parties of the European Communist Initiative honour Karl Marx and his invaluable contribution by continuing the struggle in their countries in order for Marxism-Leninism to win the workers’ and people’s consciousness. We continue the ideological political confrontation with bourgeois and opportunist theories, we substantiate with our Marxist-Leninist worldview and our activity the need for the working class to emancipate itself and in alliance with the other poor popular strata to overthrow bourgeois power, capitalist barbarity and construct the new world, socialism-communism. With faith and commitment, with revolutionary optimism we struggle everyday responding to the timely internationalist calling: PROLETARIANS OF ALL COUNTRIES UNITE! - call for solidarity with the Syrian people who have, for seven years, been confronting the aggression by US imperialism and its allies – whether directly or by the proxy action of terrorist groups –, resisting and fighting to defend the sovereignty, independence and territorial integrity of their country, and their right to decide about their destiny, free from any interference.